Chuck Todd says that while the presidential race remains close, Sen. Barack Obama has opened up a 210 to 189 lead over Sen. John McCain, with 139 electoral votes in the toss-up column. Larry Sabato notes that an exercise like this "has to assume that the election will be basically competitive, let's say with the winner receiving 52 percent or less of the two-party vote (with all third party votes excluded from the calculation). 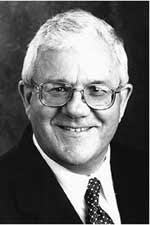 If one candidate's proportion of the vote climbs above 52 percent, then virtually all the swing states will move in his direction, coloring the toss-up white states either Blue or Red." 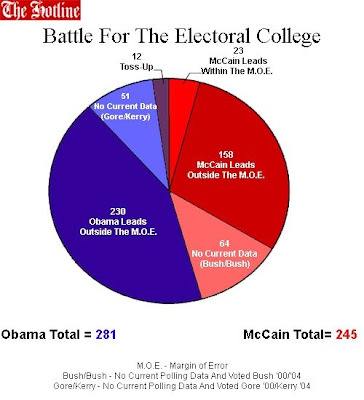 Electoral-Vote.com -- which uses the latest polling data to color the map -- shows Obama leading McCain, 320 to 218. John Zogby also sees the electoral vote race tilting towards Obama, 273 to 160, with 105 still too close to call. Election Projection has Obama leading McCain, 306 to 232. 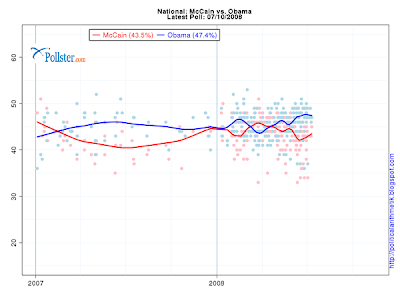 Five Thirty Eight has Obama ahead of McCain, 313 to 225. Finally, be sure to read this great profile of my good friend Governor Janet Napolitano who should be on any Obama short list for Vice President. Because of state-by-state enacted rules for winner-take-all awarding of their electoral votes, recent candidates with limited funds have concentrated their attention on a handful of closely divided "battleground" states. Two-thirds of the visits and money were focused in just six states; 88% on 9 states, and 99% of the money went to just 16 states. Two-thirds of the states and people have been merely spectators to the presidential election. The National Popular Vote bill has been approved by 20 legislative chambers (one house in Colorado, Arkansas, Maine, Massachusetts, North Carolina, and Washington, and two houses in Maryland, Illinois, Hawaii, California, New Jersey, Rhode Island, and Vermont). It has been enacted into law in Hawaii, Illinois, New Jersey, and Maryland. These states have 50 (19%) of the 270 electoral votes needed to bring this legislation into effect.